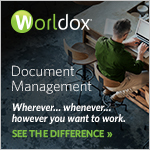 City-based law firm, Silver Shemmings Ash (www.silverllp.com), is one of the latest firms to go live with the cloud-based document and email management system, NetDocuments. In a move driven by the firms’ values, the implementation of NetDocuments is enabling the team at Silver Shemmings Ash to focus even further on what it does and how it does it. 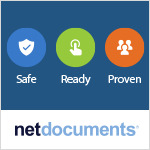 NetDocuments is helping the firm be even more collaborative internally and externally and to continue to provide excellent client service from every member of staff. After a close review of the marketplace, the firm realised, given its growth strategy in terms of clients, lawyers and support staff, that scalability with and reliability in its document and email management system were vital and that a cloud-based document management system would be used. An additional benefit is that the old managed document storage servers could be decommissioned thus saving cost. Further to a demonstration and contract review directly with NetDocuments, the firm was introduced to Hoffbrand Consulting (www.hoffbrand.consulting) as the recommended partner to implement the service for the firm. Using its now tried and tested implementation processes, Hoffbrand Consulting set up the service according to Silver Shemmings Ash’s own requirements and carried out user training all within the set budget. The firm has been happily using the service since mid-April 2017. David Hall, the Practice Manager at Silver Shemmings Ash noted that while he came into the project after it started, the help provided by Paul Hoffbrand together with a study of some of the articles available through the NetDocuments support website, enabled him to pick the system up quickly.